So, what exactly is a custom domain and why is it important for writing a blog? When you register an account to host your blog on sites like Tumblr, WordPress or BlogSpot, you will be assigned a free domain name like yourname.wordpress.com. But most blogging sites allow you to link your blog to a custom domain name, so instead of yourname.wordpress.com, your blog can simply be called yourname.com. Whether you are writing a blog for a business or about your day-to-day life, it is important to show your readers that you are serious about blogging, and without a custom domain your blog will not gain the reputation it deserves. Still not convinced? Here are three reasons why having a custom domain is essential for every blogger. You might not think about SEO in relation to your blog, but developing a good page rank is essential to increasing readers and building a good online reputation. Web owners don’t like linking to subdomains like WordPress or BlogSpot, and if they do there will normally be a nofollow tag attached to it. 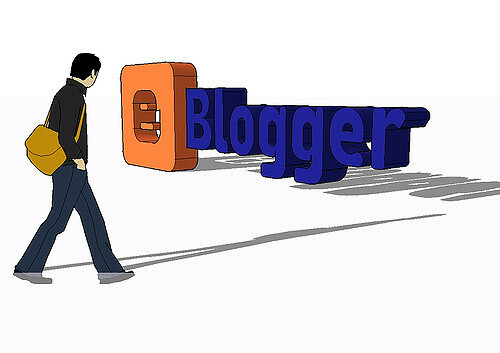 The less links you get the lower your page rank will be, which means less people will be able to find your blog. online presence. For example, if you were writing a gardening blog, then it would make sense to have a domain name like beautifulgardens.com, but the chances are that this name may already be taken, which means might end up having to choose a name you don’t want exactly. So when choosing your domain name it is important to look at existing domain names to make sure yours is unique. With web hosting companies like 1&1 offering the useful WHOIS Domain Lookup tool found here, you can receive information about any registered domain name, find out if it is still available, and gain access to the contact information of other domain owners, should you wish to buy a domain name that has already been registered. You can also customize your contact email, so rather than beautifulgardens@gmail.com, it can be something like info@beautifulgardens.com. Related to "Why Every Blogger Should Have a Custom Domain"